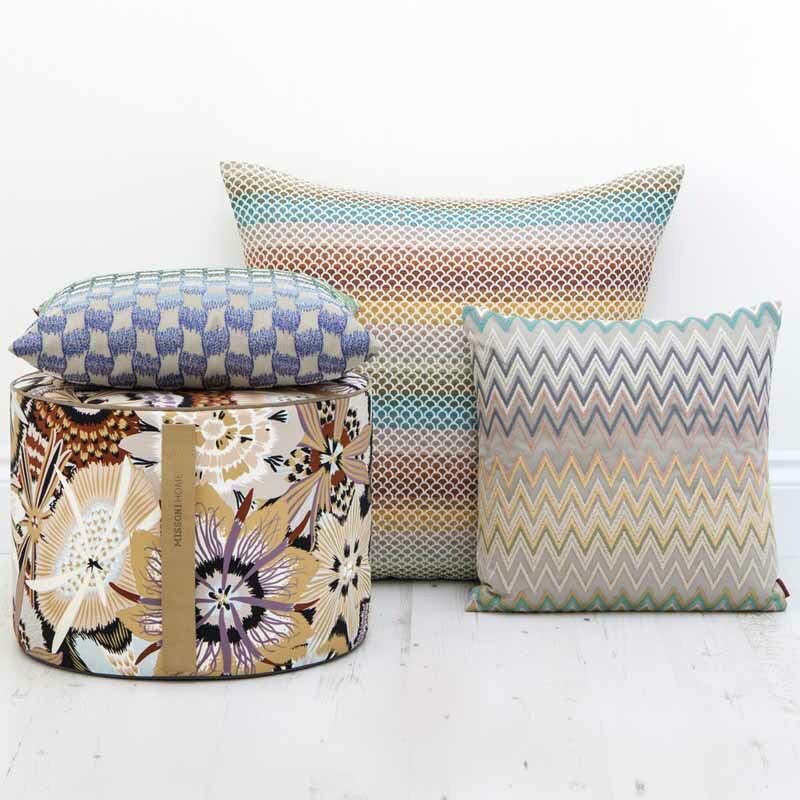 For its 10th anniversary, British specialty store Amara received a birthday gift from Missoni – a selection of home accessories that will only be available at Amara. The products which launched on June 1st were designed exclusively for the Essex-based boutique interiors shop. 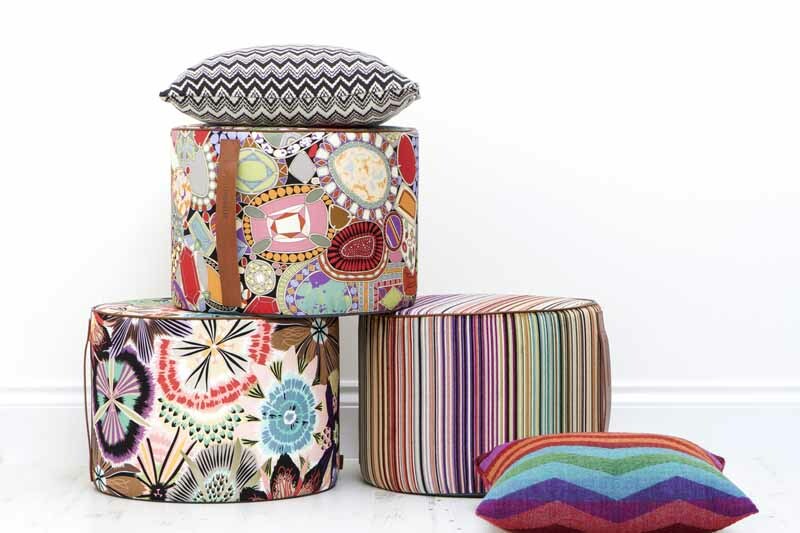 The exclusive edit consists of poufs and cushions in fabrics from the Missoni Home archive. Each fabric has been selected by Missoni Home especially for Amara and will add a greater depth to the already extensive selection of Missoni Home products that Amara stock. Each design takes inspiration from natural surroundings, such as the varied Italian landscape and gardens. Passiflora and Kandahar, the best loved flower motif, take new shape as a pouf, alongside striped Reno and jewel motif Rouen, both new introductions for 2015. The focus for cushions is texture, from delicate sheer fabrics Masal and Paramount, to knitted Ridley and Rocco in signature monochrome and multicolour tones. Also included is a limited edition cushion, Roxas, designed especially for Amara, a refined print with the spirit of Missoni Home. The range will also include three exclusively designed beach bags. 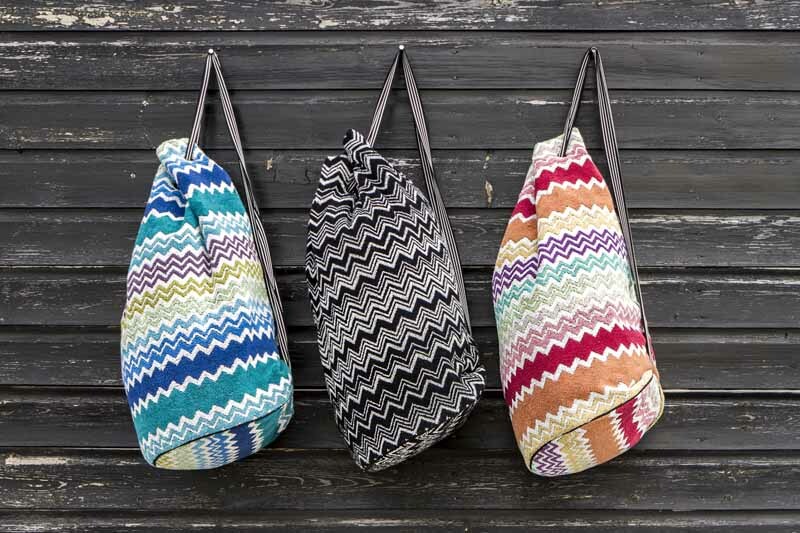 Each has been made using towelling fabric from Missoni Home’s existing collection of iconic zig zag prints. Perfect for all beach essentials, these lined bags are large enough to fit everything you may need for a fun filled summer day!